The New York Department of Financial Services (NYDFS) has announced that it is considering creating a special type of transitional BitLicense tailored to the needs of small businesses and startups. The special licensure would allow bitcoin startups that meet certain criteria to operate within a more flexible regulatory framework for a yet-to-be-determined period of time, during which examinations of the business would be conducted. 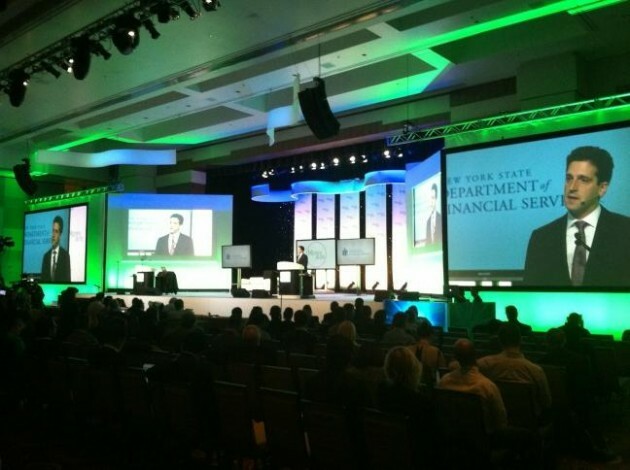 The formal announcement of the NYDFS’ shift in strategy came during superintendent Benjamin M Lawsky’s keynote speech on the opening day of Money 20/20, an ongoing five-day conference to feature talks from other industry luminaries including Cameron and Tyler Winklevoss, Circle CEO Jeremy Allaire and Blockchain CEO Nicolas Cary, among others. In prepared remarks, Lawsky framed his department’s decision as one that illustrates how the NYDFS is seeking to respond to criticisms it has faced from the bitcoin community during the regulation’s 90-day comment period. 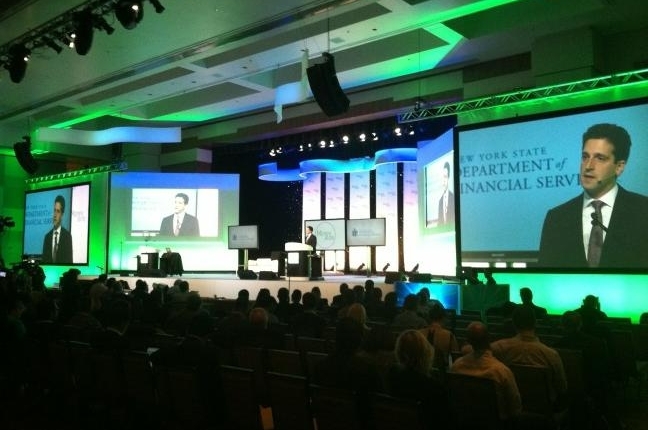 In addition, Lawsky announced that the NYDFS may also seek to designate a “small group of specialized examiners” that will oversee such companies and their license applications, and thereby help ease the burden for startups. Lawsky went on to present a list of factors that the NYDFS may consider when deciding whether to grant its proposed Transitional BitLicense. Whether the entity is registered with FinCEN as a money services business. The NYDFS’ latest proposal, Lawsky added, was inspired by the host of letters his agency has received from the bitcoin community. Further, he remarked that he hopes the letters will soon be made public. Lawsky remarked that he hopes the NYDFS will be able to “strike a balance” between maintaining consumer protections and enabling the bitcoin industry to grow. “Our hope that innovative new companies – committed to doing things the right way – will want to do a lot of business in New York, the financial capital of the world,” he said. Throughout the remarks, Lawsky stressed that despite easing the burden for bitcoin startups, his department remains committed to protecting consumers from illicit activity. “We cannot turn away from the vital task of preventing money laundering – which facilitates sometimes unspeakable crimes,” Lawksy said, striking a similar refrain as at the NYDFS BitLicense hearings this January. Lawsky concluded by suggesting that the latest BitLicense revision would soon be made available for public comment and that a final version would be released this January.